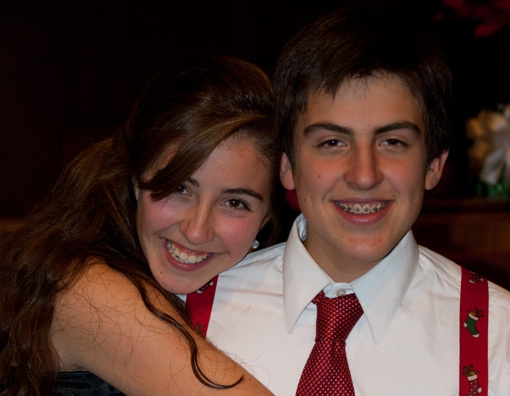 On December 20th Harrison and Madison performed wonderfully at their piano recital held at the First Presbyterian Church in San Leandro, where their instructor has held several of the recent recitals. It’s a good venue for performing and also for getting a group photo at the end. This recital consisted of about 40-45 students playing individual pieces with one or two duets. I’ve uploaded the video I shot to my YouTube account. I haven’t shot any video of the kid’s recitals lately but will try and do a better job moving forward. 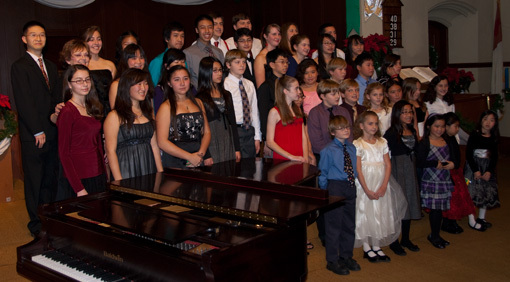 Here’s a group shot taken at the end of the recital. This was the second recital of the day as the piano instructor has a rather large number of students. Check out my YouTube videos as I hope to add more in the future. While there, hit the “Subscribe” button and subscribe to my YouTube channel.